THE HANDYMEN Your SMALL JOB SPECIALIST. Have a HandyGirl Party Today. 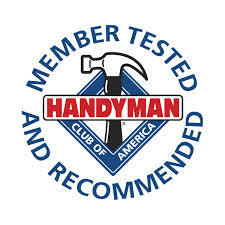 Being a member of Handyman club of American, HomeAdvisor, Angles List we work with a select few sub-contractors for specialty trades such as plumbing, gas lines, and electrical items. This is required by building code and is a good safety practic.